One of his clients said: "We are truly blessed to have found Dr Ram Naresh to look after our much loved fur babies. 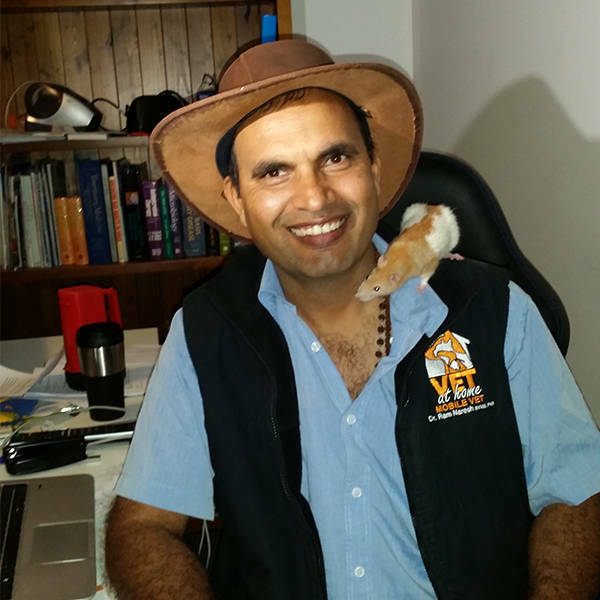 Dr Naresh is such a kind and caring soul and not only has he vast experience and amazing skills as a Vet, he also has an incredible love and way with animals." A week has nearly passed since we thought Bella was going to dog heaven. Thank you again Ram for your intuition and for being so kind to Paul and I. So happy you are our vet. We are blessed. Thank you Ram for your efforts this week to give me some more time with my big girl, Bella. We took a chance, and it worked. You are amazing and your genuine care for pets is very evident. Ram for Bondi Vet!!! Dr. Ram, Thank you for coming to Bella's aid on Monday night. She is a large 87 kg Great Dane and 9 years old. We thought it was the end, but you gave us more time. You are the best! Ram went above and beyond to give our dear old Rocky excellent care in his final years. He didn't give up on him and was kind, honest and compassionate at all times. I cannot thank him enough. A skilled and knowledgeable vet and a good man! Good luck Ram! I hate vets. Dr Ram changed that. He is so honest and caring I would pay extra just for his service. Dr Ram really cares, he doesn't fob you off like most vets. A great man and a great Vet. Dr Ram Naresh made our Rough Collie Ben feel at ease with him and he trusted Dr Ram Naresh to give his vaccination and check out his teeth. It seemed like a mutual respect, a natural affiinty to put animals at ease. Dr. Naresh is kind, passionate, dedicated, caring, knowledgeable, and affordable. He quickly gained the trust of my pets and is so gentle with the vaccinations that the cats did not realize it was happening. Great with all animals including specialized ones like my rats. I can thoroughly recommend his service. Dr Ram, came to our home to check on our 16 year old dog. he was straight to the point and very caring about our dogs health. Dr Ram would be a great Bondi Vet as his caring nature towards animals is amazing.